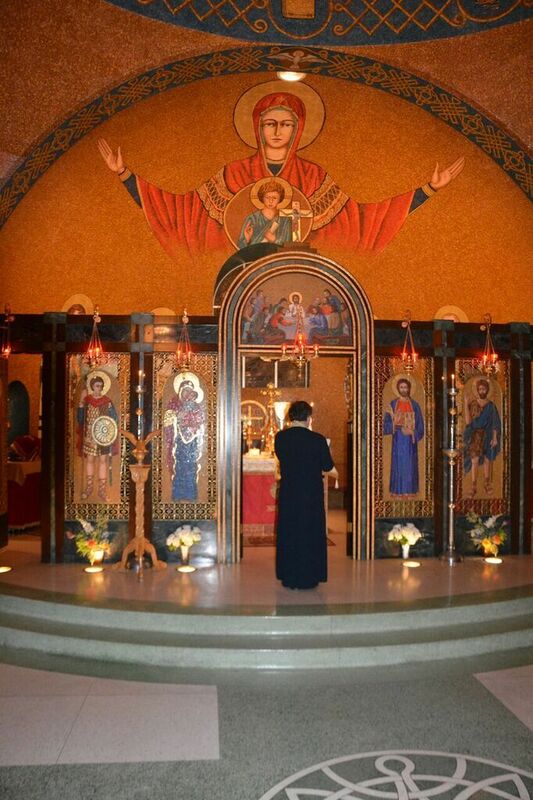 San Diego, CA - The second annual St. Sebastian and St. Mardarije Ecclesial Orthodox Institute began on Monday, February 22, 2016, the leaving-taking of the Meeting of the Lord. His Grace Bishop Maxim of Western America and St. George Serbian Orthodox Church in San Diego, California are host to this year's event held in cooperation with the Clergy Brotherhood of the Serbian Orthodox Church. Registration in the late afternoon hours, followed by Vespers, marked the beginning of this year's event. At the conclusion of Vespers Bishop Maxim addressed all the clergy and laity in attendance with his warm words of welcome, expressing his joy at seeing not only so many clergy but also lay people who have come out of their great desire to learn more of their Orthodox faith. His Grace expressed his great joy in welcoming this year's speaker Fr. Maximos Constas. Formerly Associate Professor of Theology at Harvard Divinity School Fr. Maximos is currently Senior Research Scholar at Holy Cross Greek Orthodox School of Theology. A wine tasting and cheese reception followed dinner.